Dan Kantor's song, "Night of Silence," has been sung and celebrated in churches and concert halls around the world. In this episode, Zack Stachowski and Matt Reichert chat with Dan about writing vivid text, creating harmonic structure, and the importance of celebrating Advent. We also learn new words like "Quod Libet," and Matt gets Zack to both play his guitar and sing for our listeners. Special guest appearances made by Rob Strusinski and Rachel Held Evans. So, please open your hymnal to "Night of Silence." For more information about Dan Kantor and his other compositions, visit his composer page at GIA Publications. You can find more information about his music and other projects at his personal website: www.danielkantor.com. You can purchase a copy of the score and a copy of the song recording from GIA Publications. You can purchase the instrumental guitar recording of "Silent Night" (by Steve Petrunak) and the other version of "Night of Silence" (from David Haas' album "Star Child") at GIA Publications. The concert version of "Night of Silence" was performed by Yvonne Kenny and the Adelaide Symphony Orchestra and can be purchased from iTunes. You can also purchase the instrumental harp recording of "Silent Night" from iTunes. Dan has produced an entire website dedicated to the song "Night of Silence" and the season of advent. You can find it at www.nightofsilence.com. 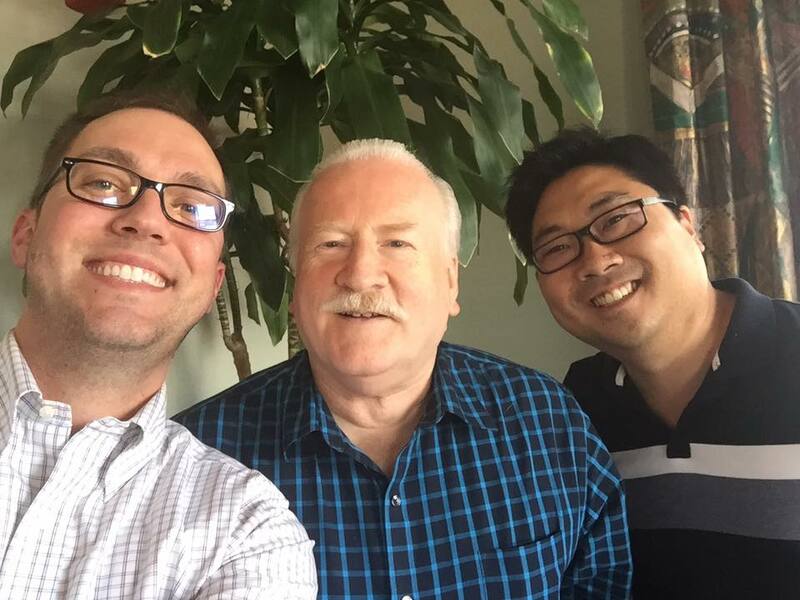 Special Feature: "Pilgrims and Companions" and "The Liturgical Ensemble"
In our most recent episode, Zack and Matt spoke to composer Marty Haugen about the song “All Are Welcome." In this rich conversation, Marty shared many thoughts about the importance of congregational song, how he writes and arranges his music with parish musicians in mind, and the ways that faith communities can and should address current issues through the lens of the Gospel. These are important considerations for anyone involved in parish ministry. But, getting started can be difficult without the right resources. During our conversation, Marty shared with us two projects that he is working on that can help. You can purchase both the song scores and audio recording for the collection "Pilgrims and Companions" from GIA Publications. You can view more information about the National Association of Pastoral Musicians convention, including the three-part liturgical ensemble workshop co-led by Marty Haugen, by visiting the NPM website. You can also register to attend the convention. You can find out more about Marty's compositions, articles, books, and other publications at his website, www.martyhaugen.com. All content of this podcast is property of Open Your Hymnal or its content suppliers and is protected by United States and international copyright laws. For information about this podcast and its use, please contact us. To say that some people have strong feelings about the song "All Are Welcome" may be an understatement. While it has detractors it is also beloved by many, and when it is used in parishes the congregation sings. In this episode, composer Marty Haugen speaks with Zack Stachowski and Matt Reichert about "All Are Welcome" and, in doing so, shares his approach to composition, his philosophy of congregational singing, and his response to those who feel that liturgical songs are becoming too "political." Plus, listeners hear about Marty's original plans for the melody, and a unique congregation in San Francisco where the music ministry utilizes no instrumentation. So, please open your hymnal to "All Are Welcome." For more information about Marty Haugen and his other compositions, visit his composer page at GIA Publications. You can also learn more at his personal website, www.martyhaugen.com. You can purchase a piano score and copy of the instrumental recording of "All Are Welcome" (arranged and performed by Paul Tate) and the instrumental recording of "Kingsfold" (arranged and performed by Bobby Fisher) from GIA Publications. You can purchase a copy of the song score and original recording of "What Is This Place?" (composed by Huub Oosterhuis) from OCP. You can learn more about music ministry at St. Gregory of Nyssa in San Francisco, California, by visiting their web page. There you can watch videos of their unique approach to inclusive congregational music ministry. You can read the article titled "The Beauty of Our Worship in the Liturgy" by Bishop Robert Morlino at the Catholic Herald website (Diocese of Madison). Don't forget to "subscribe" so you'll never miss an episode or special feature!